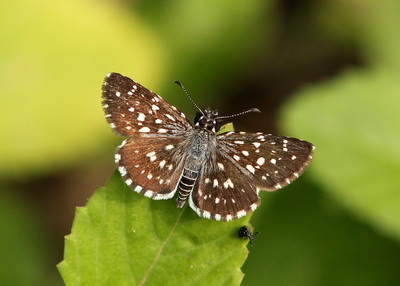 Description and Similar Species: Much less common than Tropical Checkered Skipper Pyrgus oileus and with a black and white checkered pattern on the upperwings that lacks the covering of white or brown hairs found in that species. 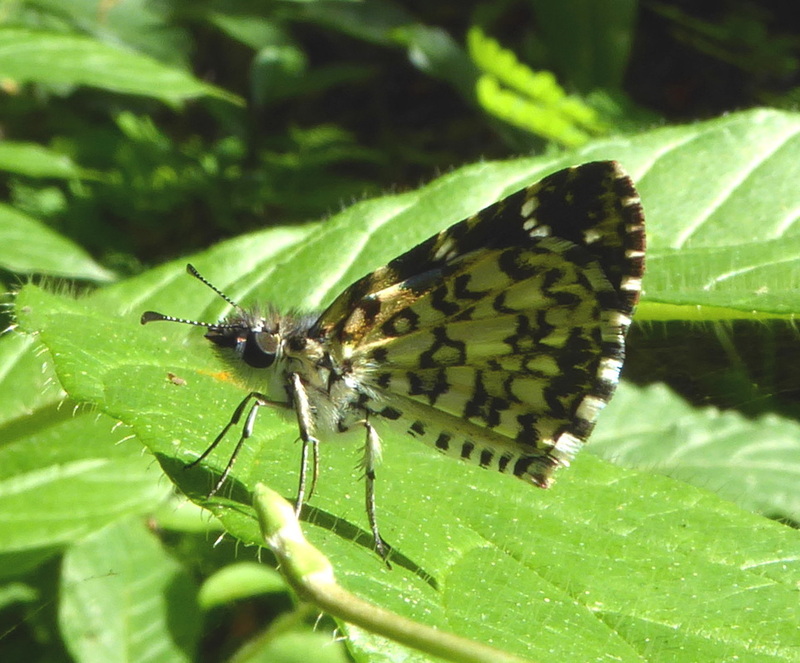 They also have a rather plainer appearance caused by smaller and more evenly sized white dots. 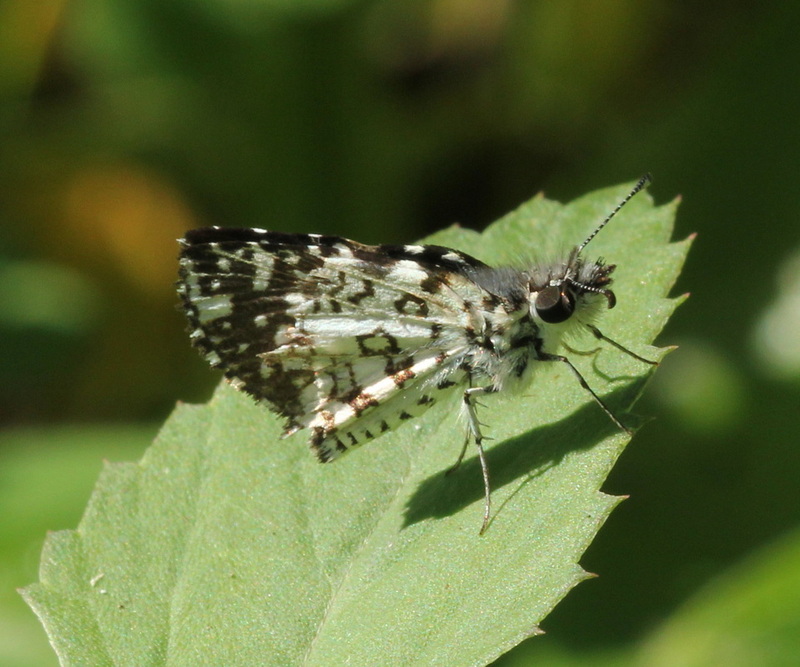 The underwings are also more black and white lacking the ochreous background of P. oileus. The hindwings especially have obviously checkered fringes. Range: Regionally endemic and found only on Cuba and Hispaniola. Status: Rare, commoner in the far west of the island but also found in the Sierra Maestra in the SE. Nectar Plants: Stachytarpheta jamaicensis, Blechum brownei, Bidens pilosa and Tournefortia hirsutissima.